I’m sure you’ve seen or heard advertisements stating that ‘TELUS is Canada’s most reliable 4G mobile network’ but if your cell phone provider isn’t TELUS how would you know for sure? Personally, that’s when I would check with my friends that are TELUS customers … lucky for you, you won’t have to go very far because I can share with you what, both my teen, and I think. 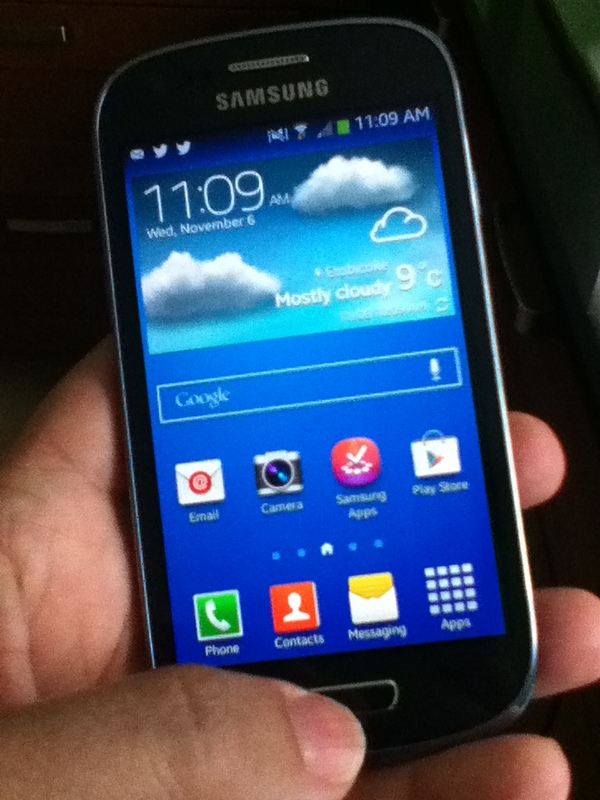 I was given a Samsung GALAXY S III Mini to review for two months. Truth be told, most of that time it was my daughter that was in possession of the cell phone! It took all of two days, since I received it, for my daughter to step in and scoop it up!! Wow! I couldn’t see that coming! (Ha!) Well, after several ‘check-ins’ with my daughter, we both agree that the Samsung GALAXY S III Mini is a wonderful, compact cell phone that allows you to do it all. 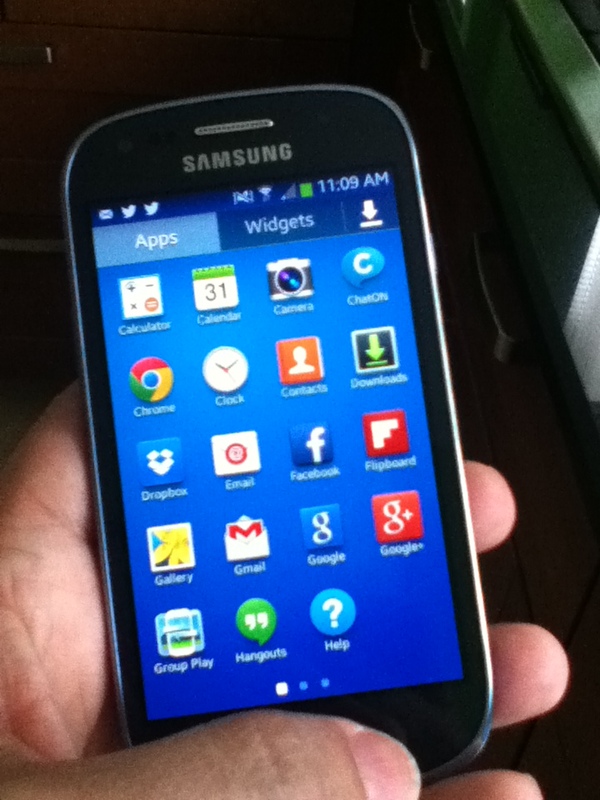 In fact, in my opinion, for keeping connected via Social Media the Samsung GALAXY S III Mini is a great phone. My daughter is a big fan of Instagram; she participates in the OOTD (Outfit of the Day) so being able to take great pictures and post them effortlessly and quickly on Instagram is very important to her. For me, tweeting and following along on Facebook is also important and the Samsung GALAXY S III Mini makes it very easy to be loved … like all those apps … and amazing photo capability! Where my daughter and I differ in opinion is with the size of the Samsung GALAXY S III Mini. 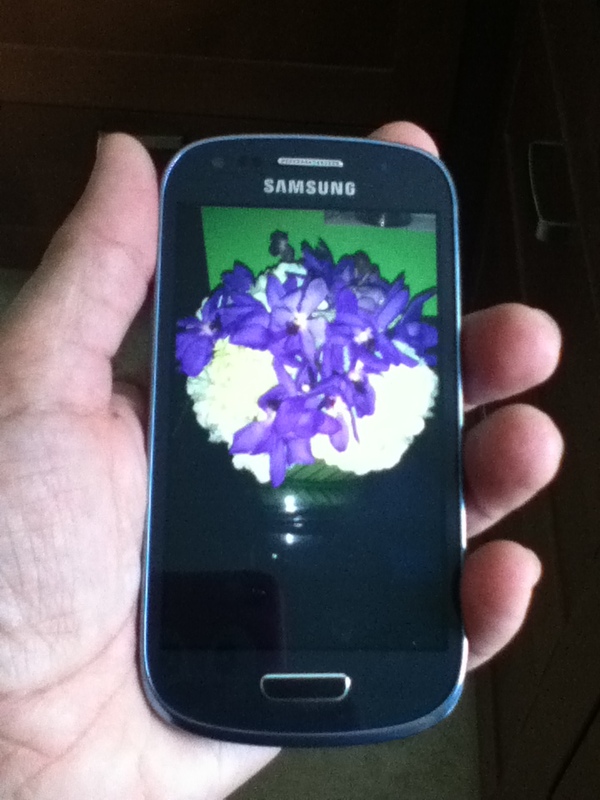 While I find it a little too small for my hand (I have arthritis and I’m a 45 year old woman), my daughter finds the Samsung GALAXY S III Mini a perfect size for her hand (she is a young, slender, teenager). For me, it’s not all about the phone. While it’s important to have a great cell phone, it’s more important to have a great cell phone service provider. 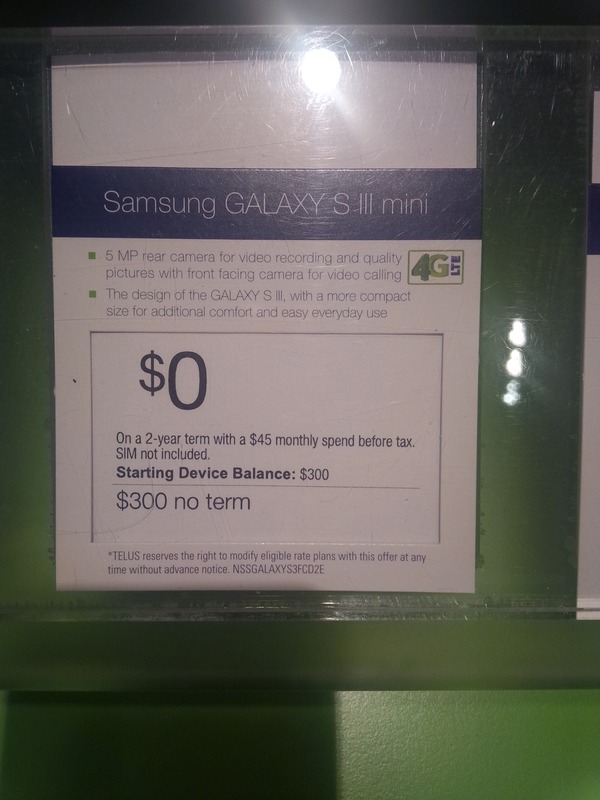 TELUS is just that. As far as customer service goes, I can’t lie …. TELUS really does have great customer service. I’ve experienced it many times and at the different stages of my dealings with TELUS. But what about the 4G mobile network? TELUS offers High Speed access wherever you can connect to the TELUS 4G network. “TELUS operates on Canada’s fastest* coast-to-coast 4G network, which offers potential peak download speeds of 42 Mbps and 5.76 Mbps upload speeds. That means that you can usually download a song in just a few seconds.” [see their coverage area here: http://mobility.telus.com/en/ON/canada_travel/index.shtml ] My daughter has not complained at all about the service (or phone). 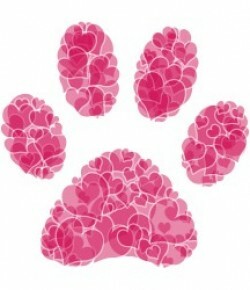 That might not sound like much but if you have a teenager you know that it means a lot! The fact that I have barely seen or heard from my daughter in the past two months clearly exemplifies it. To further support our view, please note, my daughter’s bedroom is in the basement and she has either texted me, emailed me, or Direct Messaged me on Facebook several nightly messages these past two months … Lazy? Yes. My bedroom is on the main floor! Pathetic? Yes. Effective? Yes. Great 4G mobile network? Yes. Should you visit TELUS? Yes. 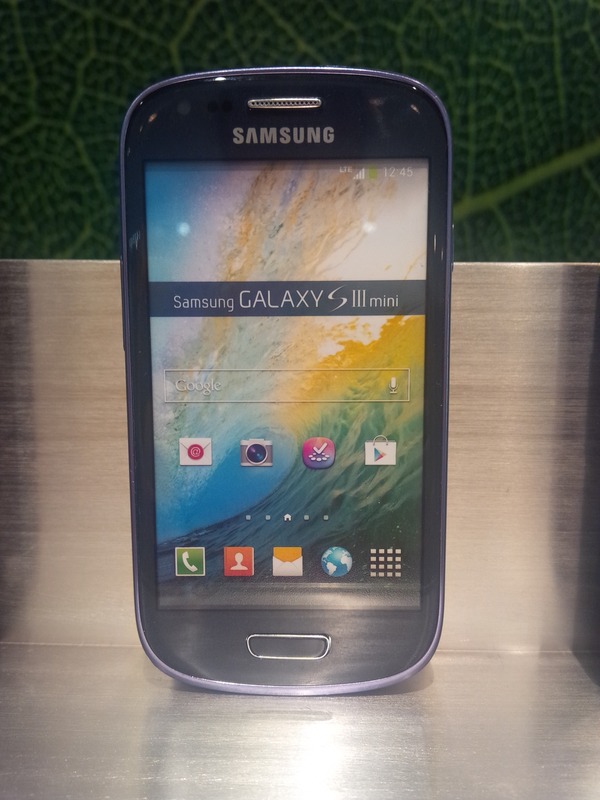 Disclosure: TELUS provided me a free 2 month loaner, in exchange for my review. I have not been financially compensated in any way. I am not obliged to give a positive review. Any opinion(s) expressed is my own, and is given freely. Any information acquired from TELUS’s various social media formats has been authorized, and has been done so as to facilitate my post/review. I love my Samsung but couldn’t handle the mini, too small for me too. Also didn’t go to Telus. I got Koodo and love it!